For five bucks Lamar’s ebook Simple Solar Homesteading is a bargain. You can also order a print copy for $15 plus shipping but buying the ebook pdf version will give you quicker access to the information. I ordered the book yesterday through the paypal link on LaMar’s website and he emailed me the book this morning. I haven’t read through each section yet but scanned through the whole thing reading the parts that interested me most. It’s like a little encyclopedia of great information on homesteading on the cheap. Update: I’m not sure this version of this ebook is still available since I first posted this review in August 2008. Lamar now has a bigger and better version of the ebook content available (but now in print) and offers a $5 ebook on off-grid solar. 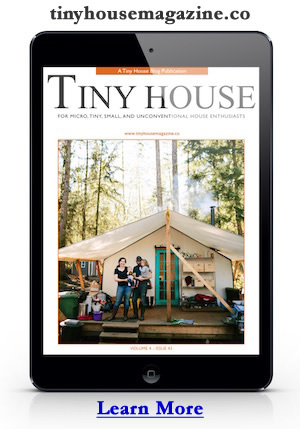 Each chapter covers a specific topic starting with designing and building a tiny house for $2000. The text is accompanied by a lot of photos and a few sketches. If you have some carpentry skills it would be easy to build this little cabin from LaMar’s description. There are no detailed architectural plans but the photos and sketches are ample to show what’s needed to build this tiny house. The book also contains a lot of things you’d want to know if you were really going to live off the grid and homestead like how to set-up a small photovoltaic system for less than $1000. You can always add onto a solar systems but it’s nice what you’d need to get started cheap. He also covers how to build a bunch of stuff for less than $50 like composting toilets, food dehydrators, solar ovens, garden composters, portable chicken coop/tractors, and solar water heaters. The book also subjects like how to handle rain water collection and gray water recycling and there’s even a section on drilling water wells by hand. My favorite section is on how to buy land suitable cheap for homesteading. LaMar has bought a few pieces of land himself on eBay and describes those experiences. I think the best feature of the book is that LaMar has is really writing directly from experience. It makes for a more interesting read and gave me a lot of confidence in the information. Simple Solar Homesteading is a bargain at $5.00. This entry was posted in Books and tagged book review, homestead, homesteading, lamar alexander, simple solar homesteading, solar homesteading, solar house, solar house book, solar tiny house. I LOVED this book because we just built a 750 sq. ft. house in the middle of Nowhere, NM. We’re 2 middle aged women who took this dream on. This book guides and answers a lot of questions regarding an affordable solar system and hot water heater. The Au. explains everthing well and documents with great graphics. This is a book we’re sure to USE and get dirty! Great to hear someone putting this little book to good use. I thought it was packed with a lot of great info and worth way more than what LaMar charges for it. Thanks for the comment. Thanks Louie. Actually a few of us got together last year to chat and brainstorm. No actual projects have emerged but lots of good connections. Hi – was hoping you can help me – perhaps Lamar is out of commission but I ordered a $5.00 ebook a couple of weeks ago – it cleared paypal and my debit account but have never heard from Lamar at all. Can you get in touch with him and ask him to answer his emails especially if he is taking money from folks. I’m sure it was an oversight, but I have sent three emails to the correct address and have not heard or been sent anything. Not too cool. He should be checking on a daily basis. I’ll ping Lamar for you. His site is: http://simplesolarhomesteading.com/ in case you want to try there too. I also purchased his book recently through PayPal. No link appeared to take me to the download page. I am not sure how often LaMar checks his email but can you contact him. It appears there is a PayPal issue that needs to be resolved. just letting everyone know my older ebook “simple solar homesteading” is still available and I now have a 355 page ebook “Ultimate Off Grid Guide” that is chock full of small cabin plans, solar and wind power installation guides, water and septic guides and tons of information on homesteading. This is also available in print edition but I recommend the ebook for working video and recommended product links. Any download issues have been resolved as I now use a private server for all transactions. Please stop by and have a look.